As the first big snowfalls are scheduled to arrive in the French Alps next week it is time for us to update you on what’s new in the Villas Worldwide / Villas du Monde self-catered ski property portfolio. It is a pretty cool range now. The number of private self-catered chalets has been increased to 135 and the price span has been brought down as we have sought to improve value for money and affordability. The apartment selection has been increased to 80 and we have aimed it more at suiting individual families and small groups of friends. The new chalets and apartments have principally been added in the top French ski resorts of Courchevel, Val d'isère and Méribel, and a few more choice ones in Alpe d’Huez, Les Deux Alpes, Chamonix, Le Grand Bornand, Les Gets, Les Saisies, Samoens, Val Cenis and Saint Martin de Belleville. Eight of the new chalets have Jacuzzi hot tubs and three have private swimming pools whilst five of the new apartments have access to shared swimming pools and leisure facilities. Many of the latest chalets and apartments can only be described as cool as they are very recent build or newly renovated, so they are equipped with modern easy to use efficient facilities and furnished with contemporary comfort and style. There are lots of en-suite bath/shower rooms and of course cosy fireplaces and wood burners. 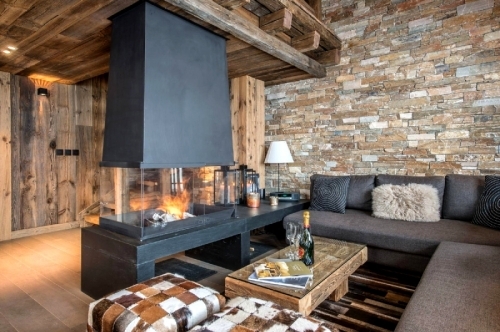 The use of prematurely aged wood gives today's chalet and apartment interiors a charming mountain-style which is warm and welcoming, ideal for a skiing holiday. Location is vital on a family skiing holiday and we have been careful to select chalets and apartments which have easy access to the ski slopes, the ski lifts and importantly ski school. One of the great pleasures of self-catered ski holidays is the freedom to eat out in restaurants where and when you want so proximity to the resort centre is a factor also taken into consideration and in ski resorts like ours, you will love the food. Helpfully we can also arrange delivery of your shopping for when you arrive. Weekly high season prices range from 1215 euros for an apartment in the Pyrenees resort of Saint Lary Soulan which sleeps three and has access to a shared swimming pool rising to 38620 euros for a top of the range chalet in an exclusive area of the prestigious resort of Megeve which sleeps 12 and has a Jacuzzi and sauna as well as private transport service. The biggest ski property in the range is a chalet in Morzine which sleeps 23 and has a private swimming pool as well as a Jacuzzi and sauna, the cost is 15705 euros per week in peak season. Our top pick of the new bunch of chalets is the chalet Lirac MONME1009 in Méribel which sleeps ten people and ranges in price from 7305 euros to 10475 euros for the week. The fabulous, extremely chic interior epitomises the cool present day mountain design combined with luxurious extras including a Jacuzzi and steam room. It is in an excellent location just 150 metres from the nearest ski slope. Our top pick of the new apartments is Erriapus MONIC607 in Val d'Isère which sleeps six people and ranges in price from 2330 euros to 4445 euros for the week. The stylish interior and the superb views of the mountains combined with its location just 200 metres from the resort centre and the ski slopes and ski lifts offer ideal family ski accommodation. 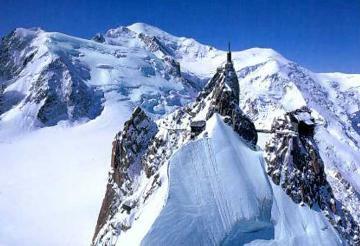 Winter is coming so it’s time to book your next skiing holiday NOW!